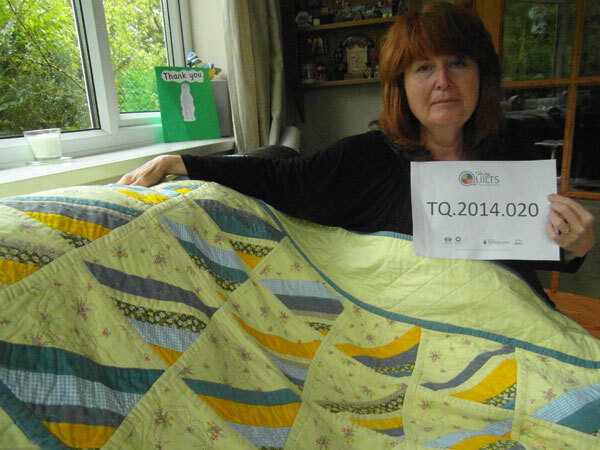 Liz chose to talk about a quilt that she made for her mother, Gwynneth, after she suffered a stroke and went to live in a residential care home. The quilt was to remind Gwynneth of her favourite things and links to her family. 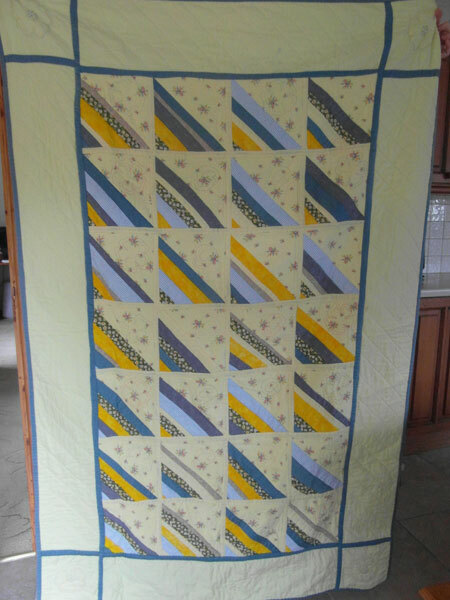 This was the first quilt that Liz made and she used the technique quilt-as-you-go. She talks about the fabrics used and how she constructed and quilted it. After the first five minutes Liz talks about how she first got interested in quiltmaking and set up a local quilt group. Later she talks about what she thinks makes a good quilt. Joy Morgan [JM]: So Liz, can you tell me about the quilt you have brought along today? Liz Savage [LS]: Right, the quilt I have brought along today is Quilt for Gwynneth it’s called, that’s the title of it, I made it in 2008, September 2008, for my mother whose name was Gwynneth. She’s no longer with us. She was very ill for about four years before she died, she had an operation which something had happened and she had sort of a stroke, so she wasn’t really with it most of the time, she was in a care home, and I thought this quilt would remind her of people and remind her of what she liked, and it’s mainly yellow which was her favourite colour, it’s yellow cotton and it’s a scrap quilt, in other words it’s from bits of fabric which I acquired from different places. It’s ‘quilt-as-you-go’ and it’s in squares. Quilt-as-you-go means that you, you layer and quilt the squares and then put all the squares together with sashing so that they are held together in a bigger quilt and the each square is it’s not a block in the sense of an American block a patchwork block, it’s a stitch and flip, so there’s a triangle of yellow fabric with flowers on it which I acquired from somewhere or other, and then the rest of it is another triangle but it’s strips of different width of fabric, a variety of fabrics in the same colour, its ranges of blue and yellow and you sew along the diagonal joining it up with the yellow flowered fabric… flip it over and then iron it, press it and then put the next strip and do the same ’till you get to the next corner so you’ve done a square. Err…on the back it’s err the wadding is 80/20 cotton polyester, on the back it’s a yellow, I think it may have been a sheet… polycotton, but it may not be, may be cotton, and there is a border, a plain yellow border. Er… it’s quilted um…in each square with either a G for Gwynneth using embroidery, two strands of embroidery silks, or with a Tudor rose, there is a Tudor rose in each corner anyway because my father’s name was Tudor, so you’ve got in three colours, cause once you start doing hand quilting you don’t stop really… you add bits as you feel like. The rest of the border apart from the corners is machine quilted in diagonals with about, it looks like with two inches width between them. The quilt size is 66 inch by 44 inch and I think it just went as a sort of coverlet on top of her bed because she was in bed all the time. 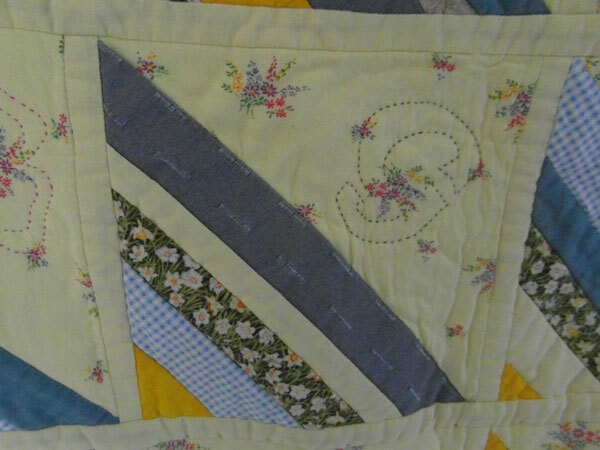 Um… oh, it’s got daffodils as part of the, some of the fabric as well, some of the strips, they were her favourite flowers, she was always glad when the spring came. So daffodils were definitely it for her. Err… Oh and because she was in a care home and because they wash the bedding really hot wash, I had to put a label on it, wherever it is [Liz tries to find the label and we both giggle] I had to put a label on it, with in bit red letters ‘PLEASE DO NOT WASH – LIZ WILL WASH WHEN IT’S DIRTY’ because I thought it might fall apart if they washed it at too high a temperature. Some of it have fallen apart actually, but that’s my fault for not sewing it properly in the beginning. So it’s a straight forward quilt really. JM: So Liz, how long had you been quilting when you made this quilt? LS: Um…..this is my first proper quilt so less than a year I should think, yes, um, I started quilting when I retired because I… it was something I’d always wanted to do, I’d always sewn, mainly clothes for myself and my children when they were small, and never done patchwork and quilting, but always thought it would be a good idea, and then of course when you retire you’ve got time and you need to do something, and in Neath there wasn’t, where I live, there wasn’t a group that I knew so I used to volunteer with the National Trust at Aberdulais Falls, my husband and I, and I decided… we went on a visit from the Friends of Aberdulais Falls to the American Museum at Bath where there is a fantastic display of quilts, collection of quilts, and I was inspired when we were there to join a group, but there wasn’t one as I said, so I started one basically in Aberdulais Falls. And we started off about five or six of us and then, at the moment we are 30, so we have come on quite a way, and it’s called The Wednesday Stitchers and it’s been a big part of my life and still remains a big part of my life because I think the social side of it, the fellowship you get with meeting these people, ladies they are, every week I think is wonderful really and it’s something… it’s something that I think is important for women because it values something that women do which is not always the case. And it’s um… er we learn from each other, we have workshops with teachers, but we also teach each other, there are some that are more expert than others but we can all learn something and all teach something as well and um… we are there for three hours now every Wednesday afternoon, and we go to exhibitions and things where we can learn something from people who are proficient at quilting. And it’s been a very positive experience in my life, especially since I retired. And I like having something, an end product as well. In teaching which is what I did you don’t always know whether you’ve been successful with a child, with a class, whatever, and with quilting you’ve got something actually concrete at the end of it to give to people, to use yourself, to show off if you feel you want to, but it’s nice to have an end product. JM: So can you tell me where do you get your ideas and your inspiration for quilts from? LS: I do buy lots of books, I think a lot of quilters buy lots of books and other people as well inspire me, other people that I know as friends and teachers that I know of as well, and shows, I’ve just been to the Festival of Quilts and it’s always an amazing experience, and local shows as well, and you do change in your attitude towards colour, fabric, design, I’ve become a bit more adventurous I think than I was when I made this quilt that I’ve talked about already. I think about using more vibrant colours now and possibly colours that a lot of people wouldn’t like and fabric designs, patterns in the fabric as well, and I’m thinking about designing my own quilts in future, because I think you get to that stage then don’t you? 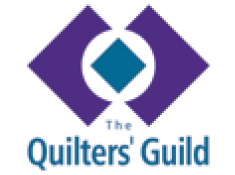 JM: Yes, so what is it that you enjoy most about quiltmaking? LS: Um…..I think it’s an opportunity to go off into your own room, my sewing room to create something that is unique basically, because it’s never going to be the same as… even if you follow a pattern in a book or whatever or a magazine it’s never going to be the same as the person who designed it, and the uniqueness of it I think is very good. And also as I spoke, as I said earlier the fellowship, the social side of it, and it is a woman thing, there are men quilters, but not many. None in the local groups that I belong to anyway. JM: And what is the part that you don’t enjoy? LS: It’s a pleasurable experience isn’t it? JM: So what in your opinion makes a good quilt? LS: There are so many… that’s part of the attraction of quiltmaking there are so many, there’s so much variety of quilts. You g o to a show like The Festival of Quilts apart from the size, you go from miniatures to bed size quilts obviously and bigger, there’s the whole range of techniques, the whole range of approaches, the whole range of fabrics that can be used, whether you buy commercial fabrics or like a lot of people these days make their own with paint and dye or dye, but it’s… you can’t say what makes a good quilt. A quilt has to have three layers, yes, backing, wadding and a top, but that doesn’t make a good quilt. The… I suppose the passion that somebody’s put into it makes it a good quilt. And most quilters are passionate about their quilts aren’t they. LS: And sometimes when you make a quilt for somebody else you don’t really want to see it go [both laugh] but you do because that’s what it’s for, and… but then when you see a quilt that you made a long time ago and you look at it and you think, oh dear, I can do better than that, and you can, but that’s fine because you couldn’t then, do better than that so you know, it’s always an improvement. What makes a good quilt? Yeah… passion. JM: Thank you very much… well, I would like to ask you actually, what you do, I know you’ve said about giving them away, but generally what do you do with the quilts you’ve made? LS: I do try and use them. I do think of myself as a utility quilter, but, in other words you make quilts that are meant to be used because I think that quilts are made for beds [laughs] but, when you’ve made a few you haven’t got enough beds to make anymore, or you just make them to give away… um I haven’t got grandchildren so I can’t give them to them. I’ve given them to my children, but possibly two or three each is quite enough, so you end up you do tend to make bags, wall hangings, smaller things. That’s ok, but you run out of wall space eventually and you, I don’t really want a house full of wall hangings you know. Bags are ok as well, I have a friend who’s made 60 odd bags since she started quiltmaking and that’s only the length of time that I’ve been quiltmaking so it’s only eight years. LS: And she is the bag specialist, not, we don’t call her the bag lady. So, I do hope to make quilts for beds, that’s what I think I would like to do.